Hello, hello friends! 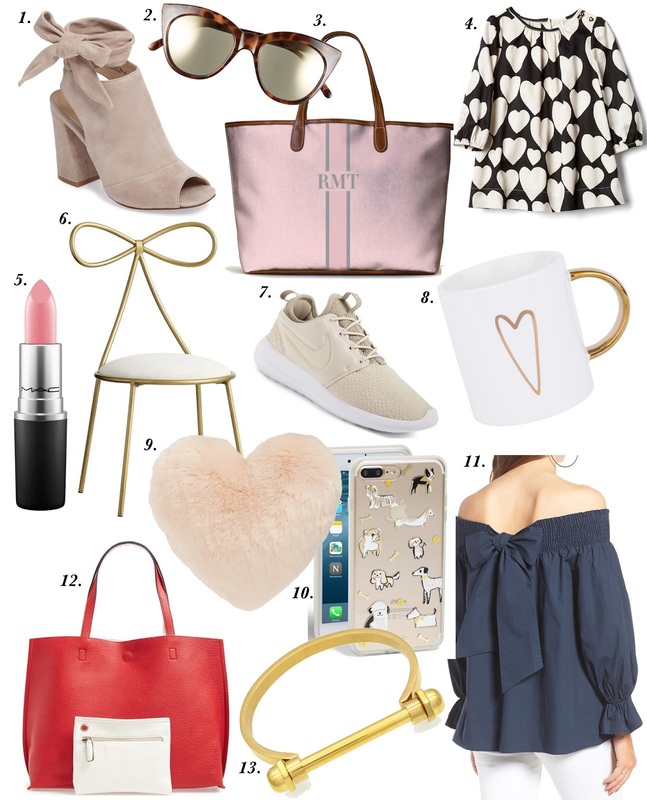 With Valentines Day being just around the corner and all of our favorite stores getting in some fabulous things for spring, there is so much that I'm currently loving. 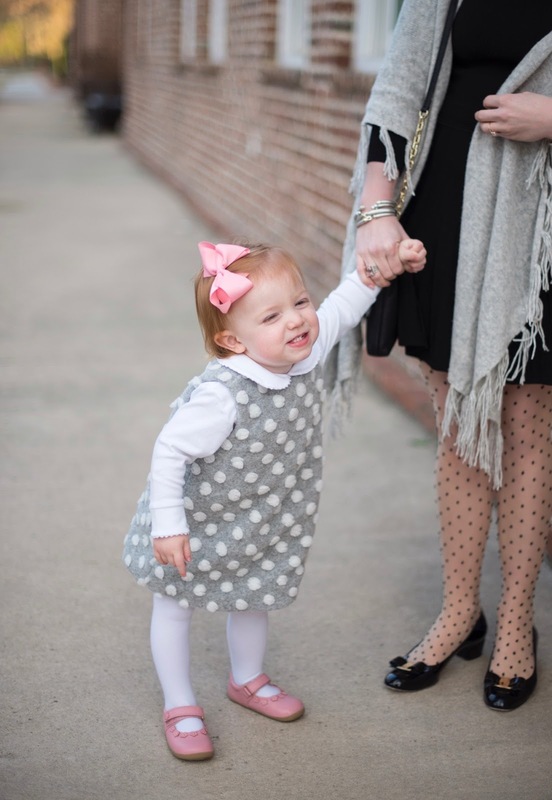 I love a good heart print, and I have gotten several adorable heart print pieces for Madeline, like this heart dress pictured above. I actually just purchased these peep toe booties and they are absolutely amazing! I couldn't recommend them enough. Something else I'm currently loving is Barrington Gift's spring 2017 collection. 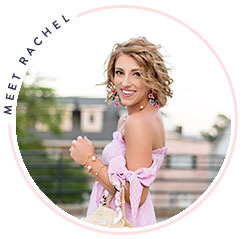 You NEED to take a peek at the pink chambray print...absolutely obsessed! Also included in this "currently loving" post is my new favorite color lipstick, MAC "Angel". 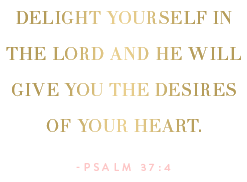 It is the most perfect, sweetest shade of pink. Something else that is on my "currently loving" list is architectural bangle bracelets. This one and this one are my favorites! And I have one word to finish up this discussion on my currently loving list...BOWS! I wish I had a reason to buy this bow chair. Is it not the sweetest thing?! I am also going to grab up this adorable bow-back OTS top for spring. What are y'all currently loving right now?! Happy Monday, Friends! First things first! Do y'all remember this oh-so versatile fringe wrap? I styled it here on the blog a few weeks back with a more casual look (see the post here). I said in that post that it is also a great piece to dress up with. Well here you go! I wore this look to church yesterday, and it was perfect for adding a little extra warmth for the chilly day (yes, it was in the 70s here last week, and is now in the 50s). It's only $49 and is a great piece to carry you into the spring as well, for those days when it's warm-ish in the afternoons and chilly in the evenings. I hope your week is off to a great start! What did y'all do over the weekend? Anything fun? Happy Friday, Y'all! Today's post is all about pastels and these adorable kitty cat flats. I absolutely love wearing winter pastels this time of the year...blush and winter white, especially. This blush scarf is so soft and goes with so much! It's only $25. I am also loving this cowl neck sweater. And when I purchased these Charlotte Olympia Kitty Emoji Flats, I never thought I'd get as much wear out of them as I have. I've only had them for a little over a week and have worn them just about every other day! The color is perfection, and the little pops of blush and black add such a fun touch. If you're considering investing in a pair (because they are seriously a closet staple), they run true to size. I hope y'all have a happy Thursday! Are you obsessed with leopard as much as I am? Happy Tuesday :) Can you guess what my current favorite trend is? If you said ruffles, you're correct! There's nothing I love more than the feminine touch of a ruffle. For example, it's great to have a basic white t-shirt in your closet, but add some ruffle detail and your look will automatically have a fun flair to it. 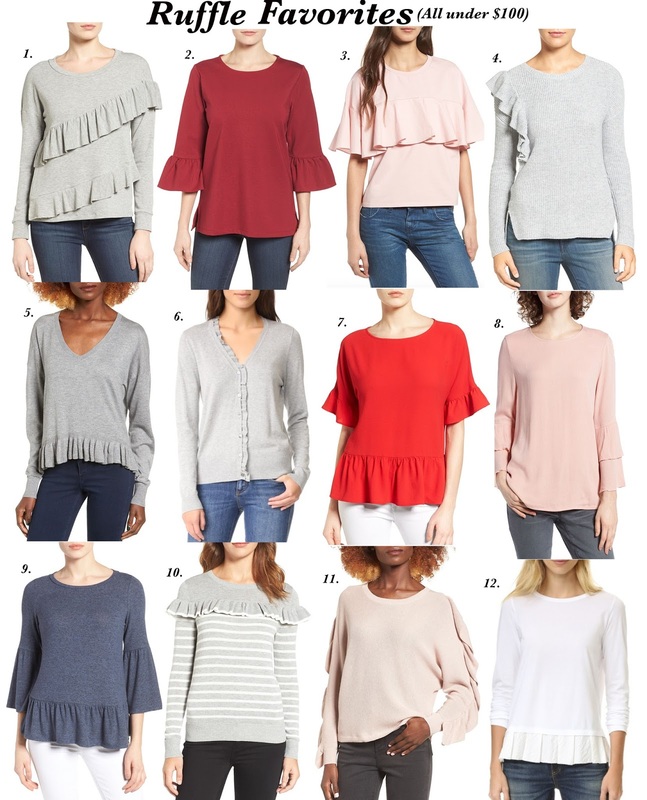 Ruffled sleeves, a ruffle hem, ruffles down the sleeves, ruffles on one sleeve, ruffles across the front...you name it! They are literally everywhere right now and are oh-so cute. 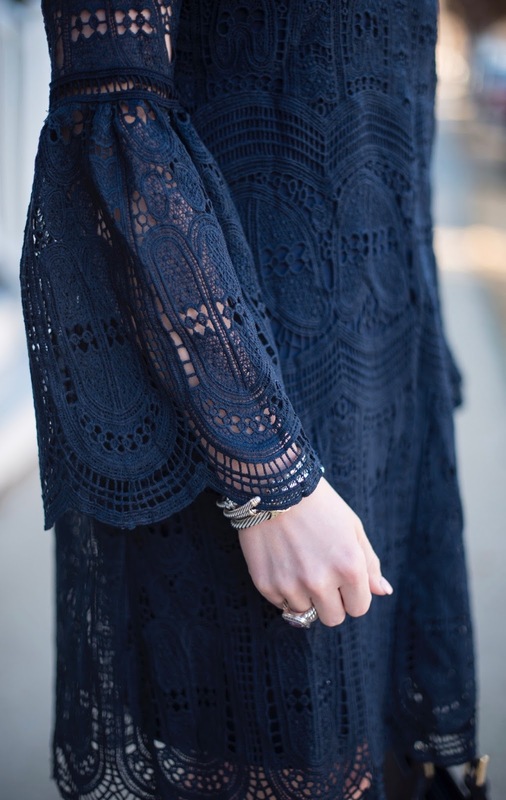 I simply can't resist a good ruffle piece. These are some of my current favorites! They are all under $100, and many of them are perfect for the warmer days now and will carry over nicely into the spring time. Which is your favorite?